Announcing the Ultimate Travel Companion. Offering a TSA friendly travel size container, this product is made for travel! Finding a simple solution is at your fingertips, by misting your face 4 to 6 times a day. 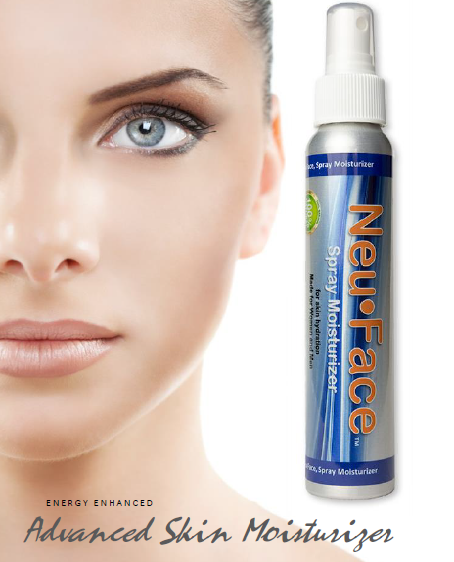 NEU FACE™ is a healthy way to add moisture and hydration to your skin every day to rejuvenate and sanitize your face. There are several active ingredients in NEU FACE™ that are known for their aromatherapy properties that aid in calming stress and anxiety, thereby stabilizing emotions when traveling by air or car. fumes and carcinogens from factories, automobile exhaust, and tons of other harmful gases that are all around us. Before venturing into the skin care product business, we interviewed several different compounding companies that passed our standards for high quality and who had access to natural organic resources and devotion to details to produce a state-of-the-art non-drug, skincare product. We found the right Company that upholds these important factors, and since our business is devoted to this ideological mindset, it was a perfect match. NEU FACE is not a medication, but rather a blend of all-natural organic healing ingredients that once sprayed on your face, your face becomes revitalized and you feel refreshed immediately. This product is a perfect companion to take with you wherever you travel or spend your time such as the office, vehicles, plane or home. NEU FACE is a "super healing moisturizer" with natural ingredients that turn back the clock on aging and makes you feel refreshed and rejuvenated. One of the natural ingredients is certified organic Vetiver essential oil, that is known for its natural healing ability. This gives you the natural advantage to help with acne, abrasions, oily skin and lesions or cuts. This product can be used on men's faces from razor burns and small cuts because of its antiseptic properties. It can also be used as a hand sanitizes and moisturizer. What are some of the benefits using NEU FACE? There're many benefits using this product. First, this product is made as a natural moisturizer, to revitalize your skin and protect your face from airborne toxins. Second, there are several active ingredients that are known for their aromatherapy properties that aid in calming stress and anxiety issues, especially when traveling by plane or automobile. Thirdly, this product contains several certified organic ingredients to encourage skin repair and improve the healing process.